My apologies for being offline most of the last few days. I could try to blame it on power outages, and due to the weather we’ve had nobody would doubt it. However, that would actually be less than 10% of the reason. The weather is the primary factor, though. One of the realities of being a disabled veteran for over 30 years is that you start to get body aches – arthritis and bursitis have taken up residence in most large joints of this body. I don’t like it, and do everything I can (including taking joint support supplements) to minimize the influence on my life, but some days it seems there is no getting around it. These last 2 days have taken the cake, so to speak. Beginning around 1930 hrs (7:30 pm) yesterday, we had 10 hours of continuous heavy thunderstorm activity here, and my joints were bothering me Sunday morning. It is now 10:40 am on Tuesday, and we still have heavy overcast skies and strong chances of more storm activity. It may be a few more days before I have any more profound thoughts to share. 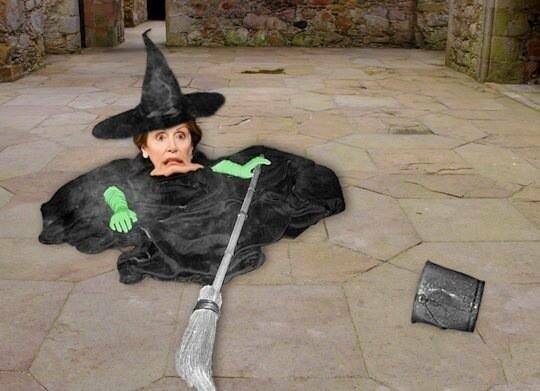 In the meantime, please enjoy this “selfie” Nancy Pelosi took of the time she did the “ice-bucket challenge”.